Some phones have a feature that turns your screen white for a second when you're taking a selfie in dim lighting. This does a great job of illuminating your face in a pinch, but there are two problems with it: First, not all phones have the feature, and second, it doesn't work in third-party camera apps like Snapchat and Instagram. The development team at Reactiv Studios seems to have finally solved these problems. Their new app lets you use your screen as a front-facing flash in any app that uses your camera, even Snapchat, Instagram, and others like WhatsApp. It's really simple to use, too — just tap a button, then your screen shines bright to serve as a flash for the perfect low-light selfie. 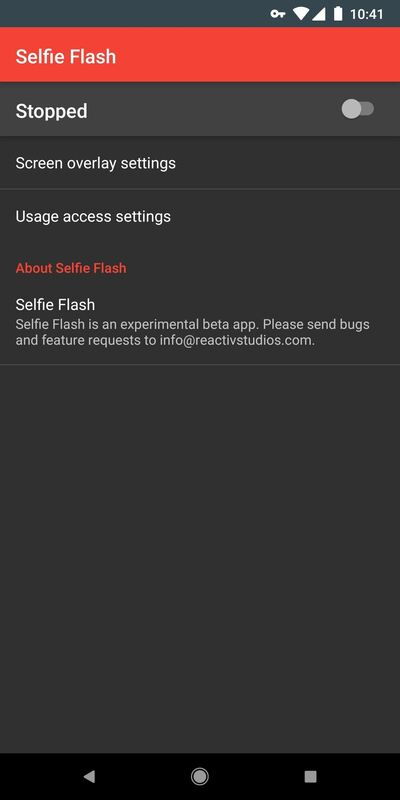 The app that uses your screen as a pseudo front-facing flash is called Selfie Flash, so start by installing it from the Google Play Store. Next, open the app and tap the forward arrow once. 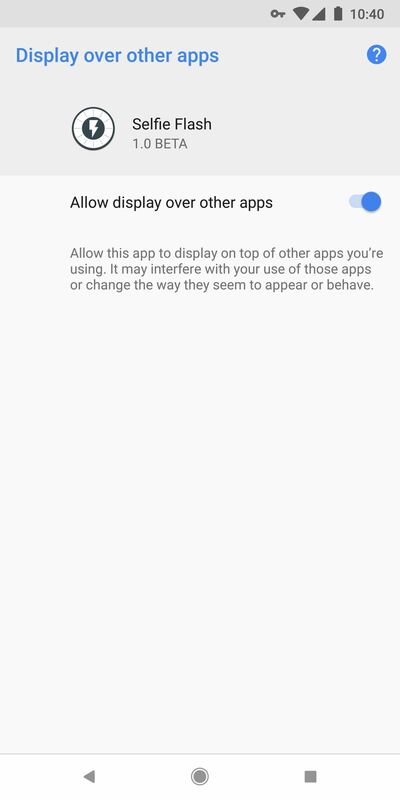 From here, if there's not already an "OK" badge on the "Allow Camera Overlay" button, tap that button, then enable the switch on the following screen. This will allow Selfie Flash to place a button on your screen that triggers the front flash feature. 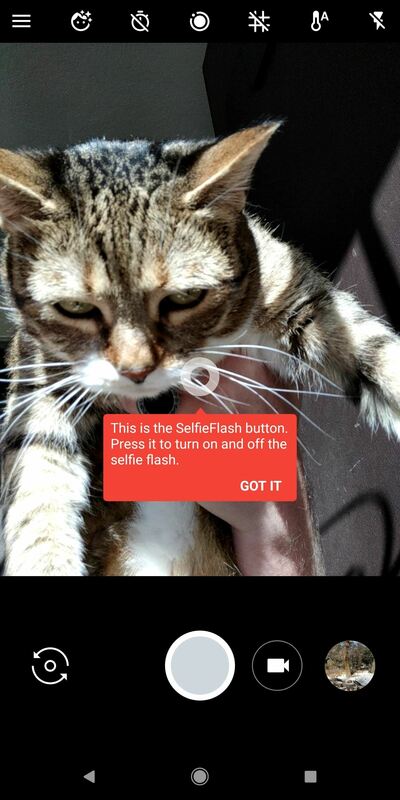 Next, press your back button to head back to the Selfie Flash app. 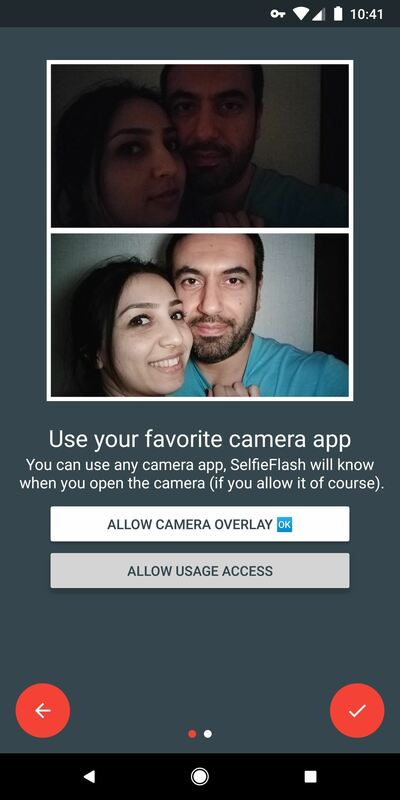 From here, tap "Allow Usage Access," then select "Selfie Flash" on the subsequent screen. Finally, enable the toggle switch next to "Permit usage access," then head back to the Selfie Flash app again. 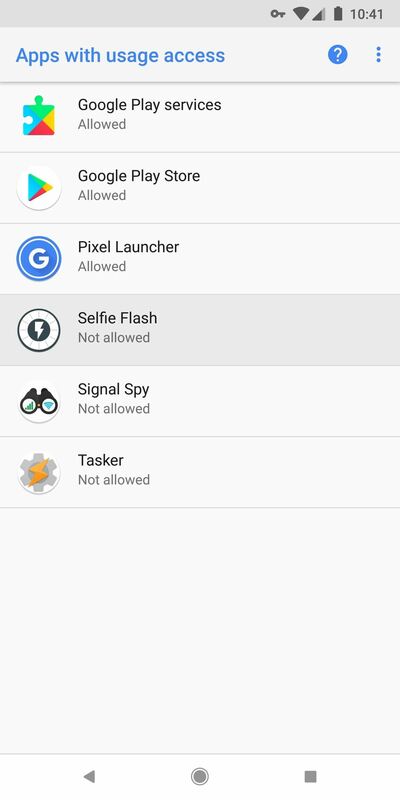 Enabling this feature will let the app know when you're using an app with a selfie camera built in. At this point, you're almost ready to use the new feature. From the app's main menu, just enable the switch at the top of the screen, then press "Allow" on the permission request popup. As a heads up, when the app is running, you may experience some minor battery drain. 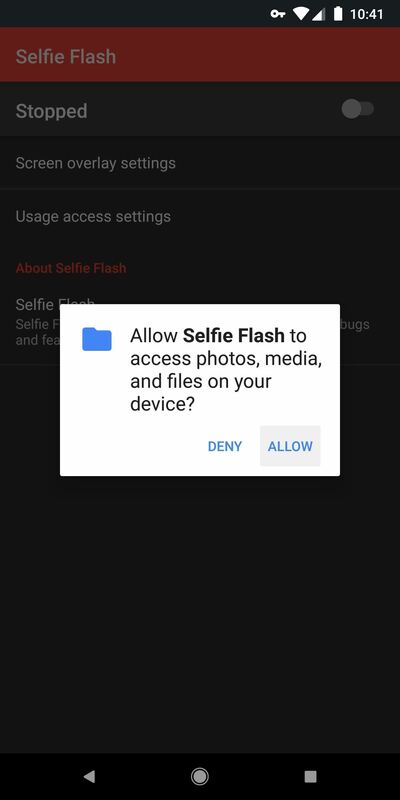 If this is an issue, simply toggle this switch on and off as needed when you want to use the selfie flash feature. 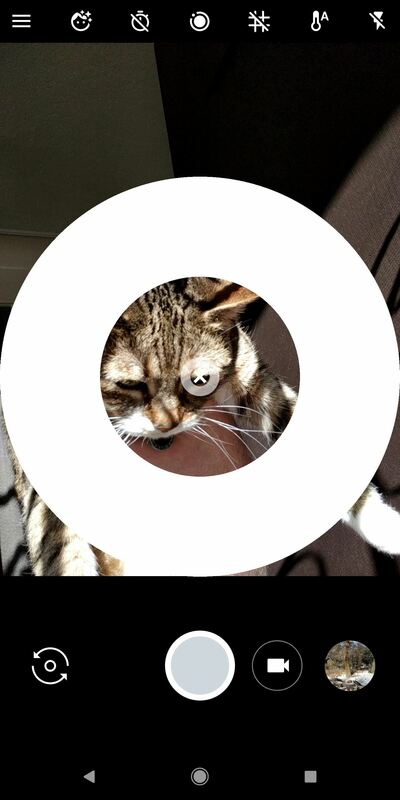 The larger circle will minimize again in three seconds if you don't do anything, so take the selfie quickly. You'll also notice that the smaller button doesn't appear when you're using the rear-facing camera — this is because Selfie Flash knows the difference between your front and rear camera, so it doesn't bother you when you're using the rear camera.